ISAs are actually pretty simple. A Cash ISA is better if you’re looking for a low-risk, shorter term savings vehicle. What are the risks of investing in an ISA? Source: Barclays Equity Gilt Study 2013. Cash: Instant access building society account. Returns on £1000 lump sum investment with gross income re-invested after tax. What does a Stocks & Shares ISA invest in? You can invest in individual company Shares or another popular way is to pool your money with other smaller investors. This kind of collective scheme allows you to invest in companies across multiple, widely varying industries, so you can spread the risk and the opportunities around. Get some more information on our Investment Options page. So deciding whether to go for a Stocks & Shares ISA or a Cash ISA depends on two things – how long you want to have the investment, and how you feel about investment risk. Have a look at the main differences in the table below. General features Good for investing for five years or more, and if you want a share in the stock markets’ potential growth. However, this comes with more risk than a Cash ISA. Good for investing for less than five years, and if you’d like to avoid risk. But remember, the real value of your investment can still go down if the inflation rate is higher than the interest rate. You can distribute the allowance between a Stocks & Shares ISA and Cash ISA as you wish. Investment options You can choose from a wide range of investments, including Funds, Shares, Investment Trusts and ETFs. There’s no investment choice, you’ll simply receive interest on your savings at a fixed or variable rate. What you can get back The value of your ISA can rise and fall depending on how your investments perform. 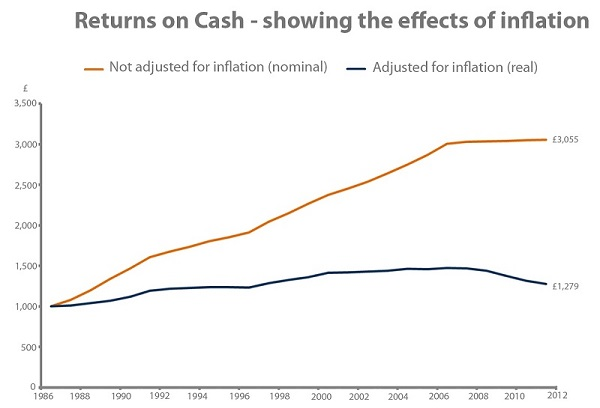 Interest will be added to your Cash ISA every year or more frequently. Taking your money out You can normally withdraw cash from your account within 8 to 10 days. Variable interest accounts normally give you instant access. While with fixed-term accounts you could lose interest if you withdraw money early. At Willis Owen Limited we don’t offer or provide advice on the suitability of personal investments. If you’re unsure whether investing is right for you, or you require any investment advice, contact a financial adviser. Hello, we'd love to hear your thoughts regarding investing in ISAs or if you have any questions or suggestions. Every type of investment comes with risks and opportunities. Learn to achieve your goal without risking any money. Start practising today.